At 9:45 a.m. today, Tuesday, Aug. 21, Natchitoches Parish Sheriffs Deputies, Louisiana State Police, Natchitoches Regional Medical Center EMS, Natchitoches Parish Fire Protection District #5 and the La Departmet of Transportation and Development are on the scene of a two-vehicle injury crash on La Hwy 1 at its intersection of La Hwy 120 involving an overturned loaded log truck and a passenger vehicle. The road is blocked. 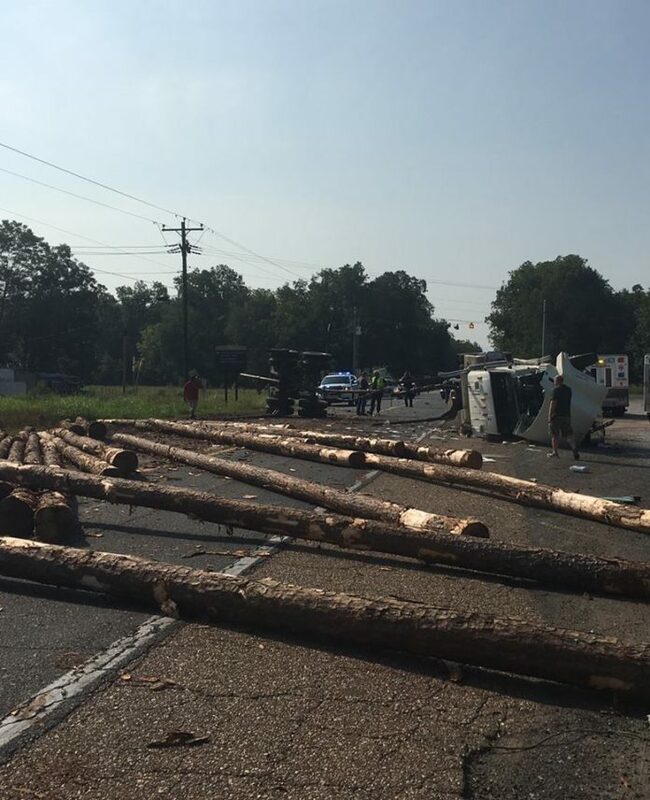 Traffic is being diverted onto La Hwy 120 and La Hwy 494. If you are traveling through the area, drive carefully, avoid distractions and expect some minor delays while the crash is being investigated and roadway cleared. Louisiana State Police is investigating the crash.